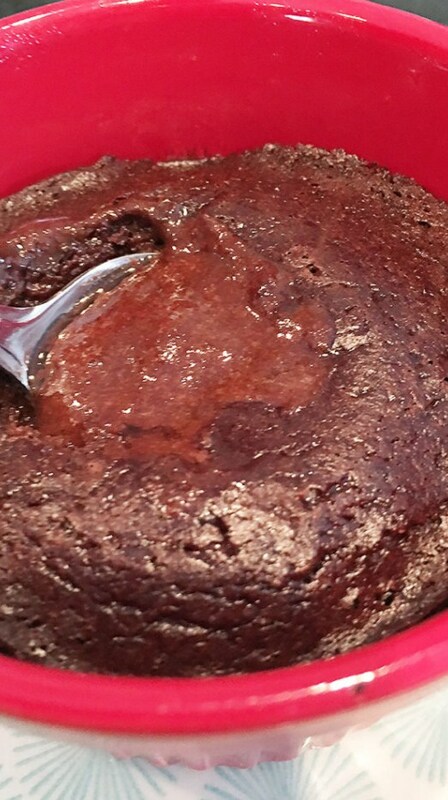 Lava Cake for 1 makes warm, sweet, chocolaty goodness in minutes. Just over 2 net carbs, it's a satisfying low carb treat. Great for Keto and gluten free. Grease a ramekin or mist with vegetable oil spray. Stir together the dry ingredients in a small bowl. Add the wet ingredients and stir together until thoroughly mixed and pour into prepared ramekin. Bake for 12-15 minutes until top is set. Serve warm topped with real whipped cream.